icrosoft did recommend to disable short names in a security guide some times back. There is evidence that file operations in directories (folders) that contain a large number of file can be slowed by short file name creations. So does it improve performance? The short answer – Yes. Do you have older programs that use 8dot3 (short names)? Do you have a folder with a significant amount of files and coping or creating files is slow? Finally found a small problem with Windows 7, 8, 8.1 and 10. After upgrading, we have discovered that Windows was responding slow to our SQL Server 2008 and SQL Server / other versions. What we discovered is below. Slow response times in Windows to a SQL Server can be due to the LLMNR protocol. This may be resolved by turning off the LLMNR protocol. LLMNR is a protocol that allows both IPv6/4 computers to perform name resolution for the NetBIOS names of other computers without requiring a DNS server. IPv4 hosts can use NetBIOS over TCP/IP (NetBT) to resolve computer names to IPv4 addresses for neighboring computers by broadcasting a NetBIOS Query. All IPv4-based LLMNR hosts listen on the IPv4 multicast address 224.0.0.252 instruct their Ethernet network adapters to listen for Ethernet frames with a destination multicast address. Windows -based LLMNR computers do not send or respond to unicast queries. 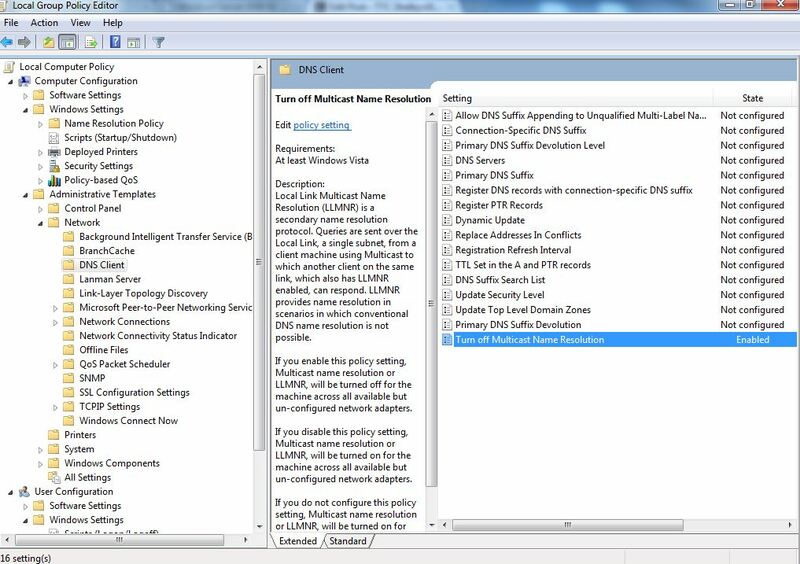 Windows Vista and Windows Server “Longhorn” support Link-Local Multicast Name Resolution (LLMNR), which allows IPv6 hosts on a single subnet without a DNS server to resolve each other’s names. This capability is useful for single-subnet home networks and ad hoc wireless networks. Rather than unicasting a DNS query to a DNS server, LLMNR nodes send their DNS queries to a multicast address on which all the LLMNR-capable nodes of the subnet are listening. The owner of the queried name sends a unicast response. IPv4 nodes can also use LLMNR to perform local subnet name resolution without having to rely on NetBIOS over TCP/IP broadcasts. 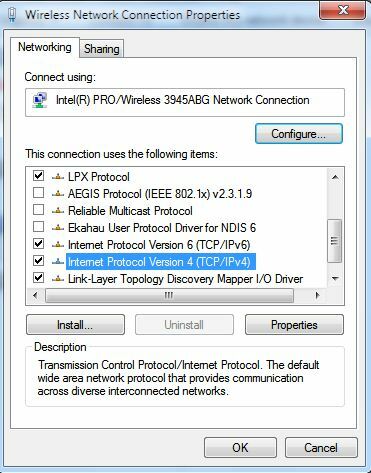 You also should go to your network adapter properties and disable all of the settings under the advanced properties such as TCP/Offload and other advanced settings. Remember, not all adapters have advanced options – disable any settings that allow you to do so…. Disable your anti-virus and check the speed. Is your anti-virus causing issues? Want an excellent program to manage your MySQL server from Windows? 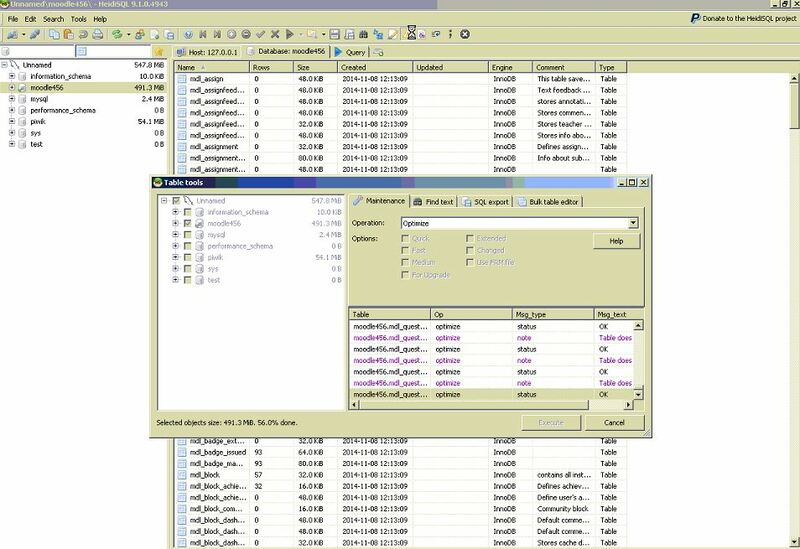 With MySQL, you can download MySQL Workbench. MySQL Workbench offers great graphics on your MySQL incident and an interface that offers features such as queries and status of your server. Free for everyone, OpenSource since 9 years of active development. Create and edit tables, views, stored routines, triggers and scheduled events. Generate nice SQL-exports, compress these afterwards, or put them on the clipboard. What does it look like when it is ran at an elevated command prompt? This is a good educational piece for anyone who is using Windows 10. For – Windows 2000 Professional SP4, Windows XP/Vista/Windows 7/8, Windows Small Business Server 2011/2008/2003, Windows Home Server and Windows Server 2000/2003/2008 (32-bit and 64-bit). Easy to use but for advanced users. 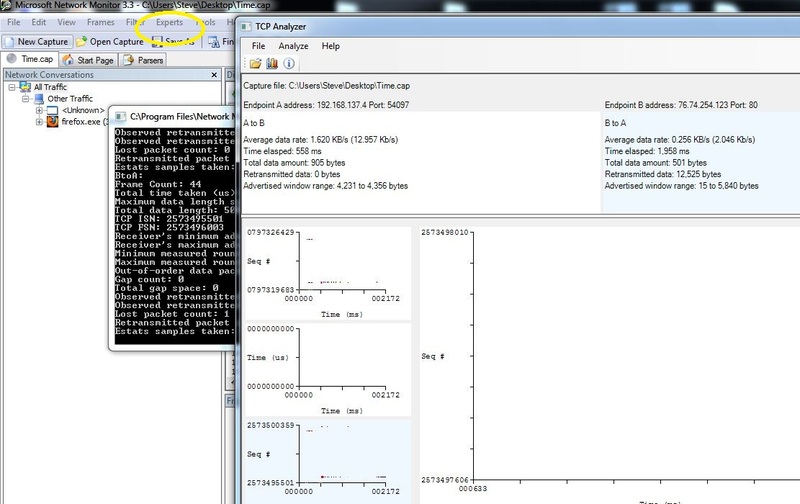 Microsoft Research TCP Analyzer (Link) is a network analyzer that allows you to analyze network traces of Transmission Control Protocol (TCP) connections. Given a Microsoft Network Monitor trace, the analyzer provides various performance statistics and visualizations for the captured TCP connection. This app also gives a time plot and an explanation of the individual plots. 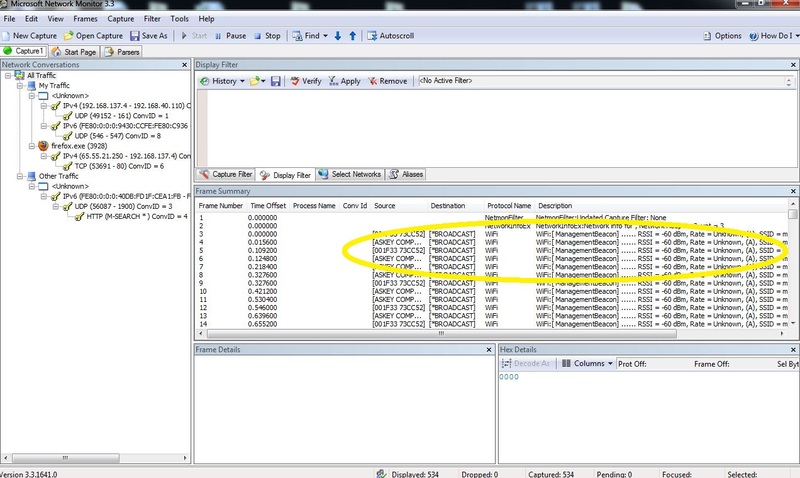 Below is an Example of Microsoft Network Monitor capturing packets on a wireless network. Notice the information about the wireless (-60 dBm) in the first picture. In the second picture you can see information on a captured packet (firefox.exe and the destination IP address). 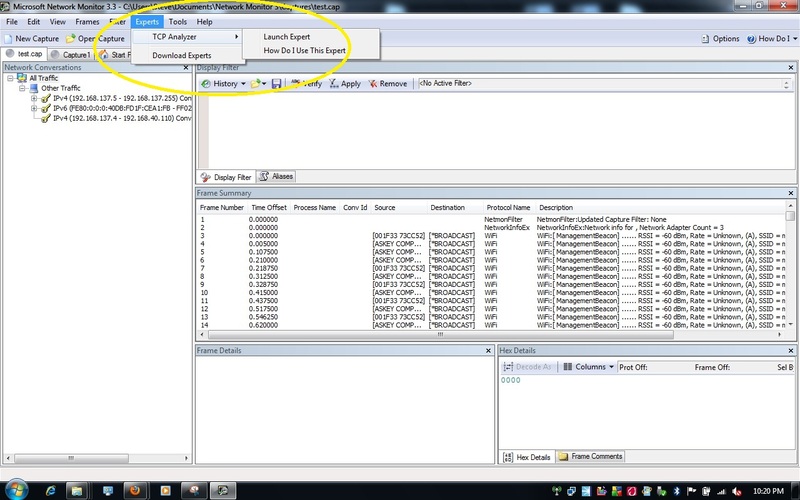 TCP Analyzer which as stated requires Microsoft’s Network Monitor to installed first. Capture packets for ? (general over a period of time you decide at peak usage of your network or when transferring and using data across your network. Want to see the TOP Users of your Network? 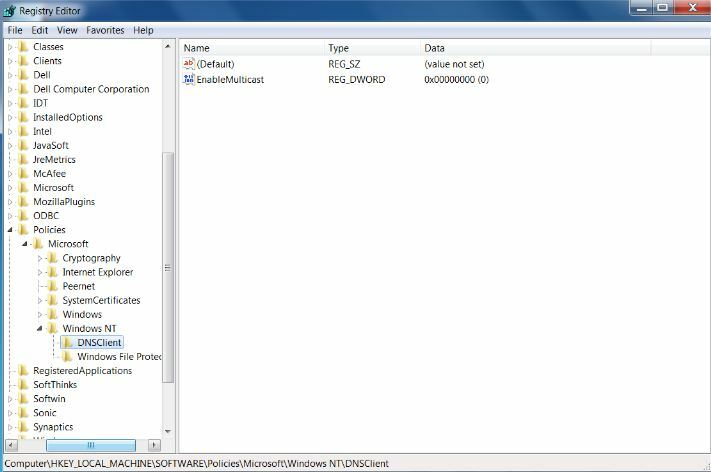 *this software was tested on Windows 7 Professional but will work with Windows Vista or Windows XP. Did you know that you can sort in Microsoft Excel by using colors? Did you know that you can sort in Microsoft Excel by using colors? For example, Excel can sort by cell color, font color, cell icon, and values. If you want to learn quickly how this works, follow the source link below at PCWorld. There are dozens of tips on the web from MTU size to tweaking network card or wireless router alternate firmware. What isn’t covered a lot is DNS queries. DNS or Domain Name Services is used when you type the ‘friendly’ name (url) into your address bar of your browser. The friendly name goes out onto the worldwide web to your ISPs DNS servers where it is changed to an IP address and routing then takes place. How can you improve this? Here’s some ideas. 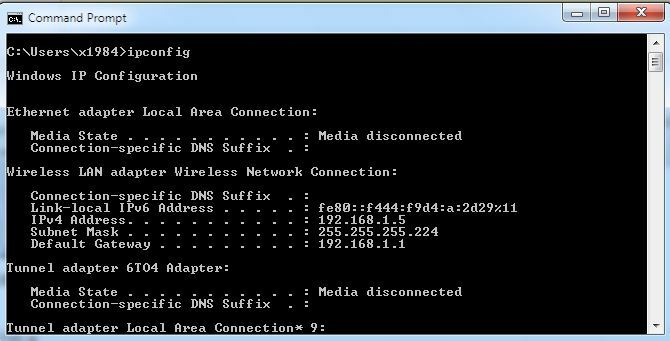 When programming your router, you can statically define the DNS servers in your router and disable DNS Relay. 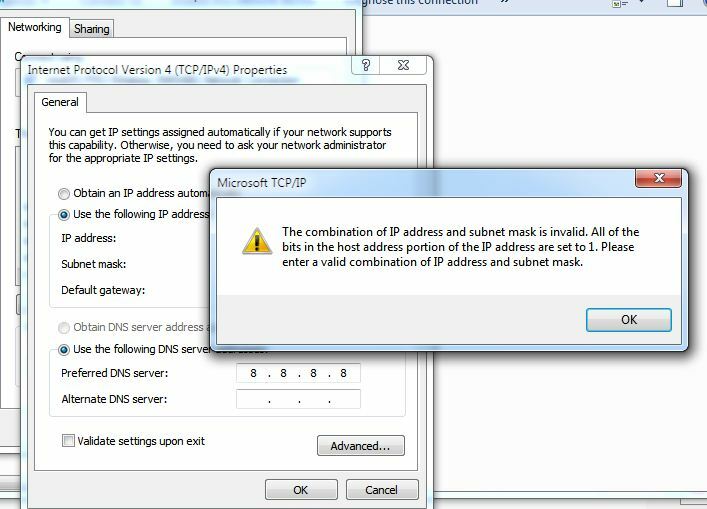 This will cause the dhcp leases to contain the hard coded ip addresses of the DNS servers you typed in instead of the router’s ip address (leaving DNS relay on, your router will act as the go between). With several combinations, which is best? 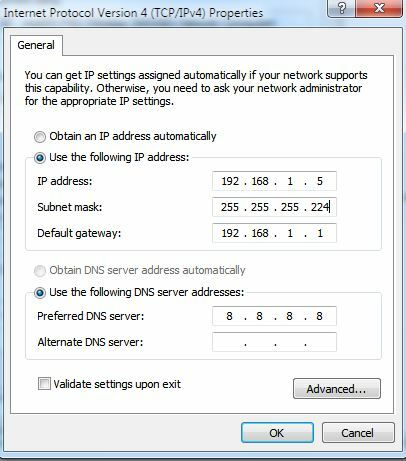 If your router has a SPI firewall, the impact of this is that the stateful-packet-inspection (SPI) table will have to track additional DNS(Port:53) streams as each individual device (tablet, computer, smartphone, smart TV) makes its unique request (websites typed into the address bar) directly to the DNS servers on the Internet. You can program your router with several options. Here are a few combinations. Disabled Yes Computers receive fixed DNS servers. DNS queries are now part of your standard traffic and are inspected by the SPI engine. Can be slower. 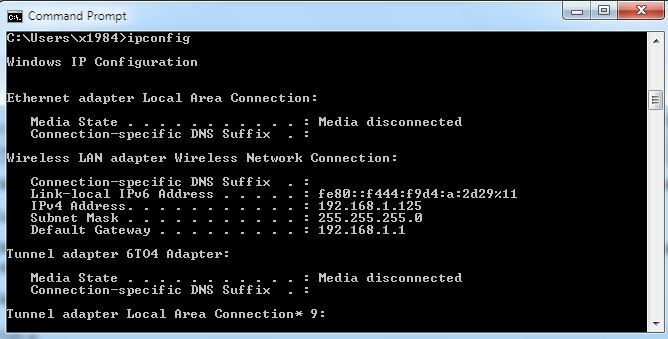 If you need to check your DNS entries after you save your router’s settings, in Windows, go to a command prompt and type ipconfig /all. Running Linux? Type ifconfig to get your IP address or cat /etc/resolv.conf to get your ip address and dns information after you program and reboot your router. All over the internet you will find information on ‘How to Subnet’. Suddenly you are thrown into a world of bits and binary and given charts of ‘How to Subnet’. But why do you subnet? Subnets are created to separate areas of your network for security and/or to hold down broadcasts. 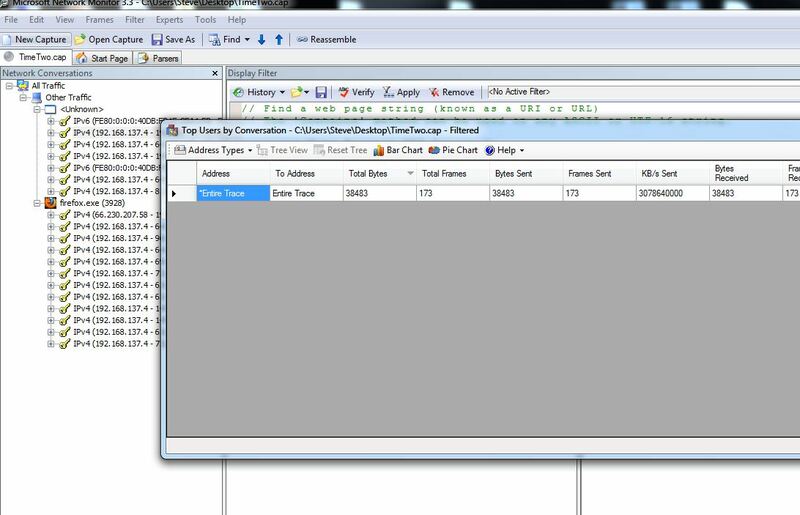 Computers constantly ‘talk’ to each other. If you have a network of 10 computers, the talking (opening files or programs) or broadcasting packets that are sent out during networking is not much traffic at all. However if you have 10,000 computers talking and passing data, you will have thousands of computers passing data and your network will slow down from all of the information. If you still don’t understand, invite 10 friends over for a get together. It’ll get noisy but you can still hear every conversation. Now, go to a rock concert with 10,000 screaming fans. Get the picture. Subnetting allows you to divide areas of your network out to prevent this. So here comes the golden question. How can you get them to ‘talk’ when you need to? With the installation of a Layer 3 Switch or a router, these subnets can talk. And for all of the folks who know a ton of details on the subject, this is just an example for people who are searching why to subnet. Are there other ways to divide your network? You can use VLANs. Devices such as switches allow virtual lans to be set up. By purchasing managed switches, you can separate different areas of your network thus separating areas for security and holding down traffic. So now I know why – but how and don’t give me binary and all the fuzzy stuff! The best explaination I have found is at this link. A simple chart with examples! Subnetting allows your network to become more efficient and allows you to separate your network by subnets. Let’s say your network is on a 192.168.1.x numbering scheme. How do you know what your network is? Open a command prompt and type ipconfig. See the gateway? That is your starting number for your network. The network allows 254 computers to be in the broadcast domain. Now let’s say you have 20 devices in your network. How can you effectively hold down broadcast and prevent your router from building tables for each device? How can you make it more effective and hold down traffic? Actually without understanding binary, you can do this. Remember this is basics and should help you understand. You see under the current network, you can have 254 devices in your network. Printers, routers, computers, tablets, netbooks, notebooks, etc. The last set of numbers called an octet only goes from 1-254. But lets narrow this down. 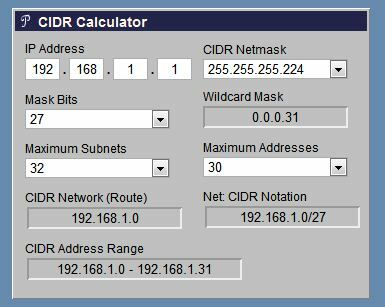 You can use a CIDR calculator online to determine how to tweak your network. A good site is Subnet Calculator. Go there and enter your router’s number in the ip field. Now go down and enter a number close to the number of devices you have on your network. In this example, enter 30. 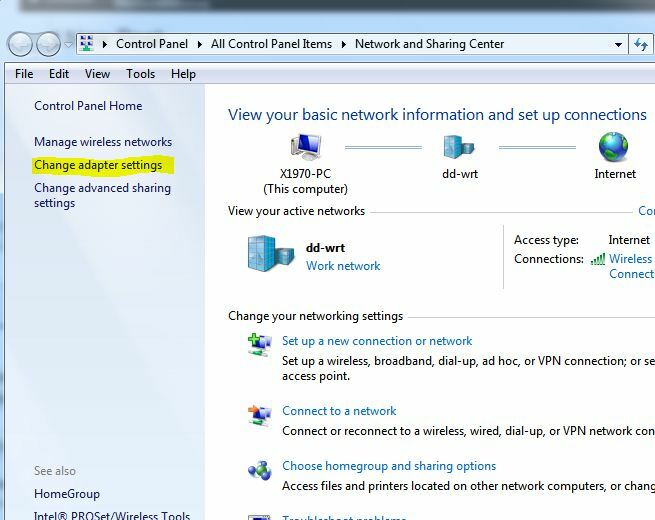 Ok, now open your adapter settings by clicking the network icon at the bottom right corner and selecting Open Network and Sharing Center. Now click on the adapter settings. Right click and select properties on your adapter that is active. Enter an ip address statically (manually put it in). Put in your new subnet and your gateway. You must also put in your DNS or a public DNS server. You should keep a list of each devices number to avoid any problems. All ip addresses must be different on each device. The only valid numbers in this broadcast domain now is – 192.168.1.1, 192.168.1.2, 192.168.1.3 continuing until you get to 192.168.1.30 (remember you chose to have up to 30 devices on your network.) If you enter any number above this, you will get an error. Error screen showing an ip address above what you selected. If you get the above error screen, you have entered an invalid number. After you select a number between 192.168.1.1 and 192.168.1.30, click OK and exit all screens by clicking OK. When you change subnets as the above example shows, you have to remember that you may lose connectivity to devices such as routers or network printers. You will need to set devices such as servers and these devices on the same subnet so that whoever is assigned this subnet can communicate with them. This by no means is a thorough subnetting lesson. It can become much more complex by introducing multiple routers into your network, DHCP servers or other devices. This is a simple how-to that shows you how broadcast domains can be more efficient. Now one more thing. Want to know how to subnet? You can use the magic number method. Secure your devices. Bottom-line, there are malicious users on the web that can find your device (webcams, IP cameras, routers, SCADA and other devices). Change the default passwords and update software/firmware when it is available. Disable UPNP and look for vulnerabilities that may affect your device. Need to speed your internet up or tweak your network out? Here’s some things to take into consideration. Something called Silly Window Syndrome can occur if a server or workstation that has a shared files has high latency. You see, when there is no synchronization between the workstation and a server (or ws to ws) regarding the capacity of the flow of data being sent or the packet size, Silly Window Syndrome can occur. You see, Nagle’s algorithm works by improving TCP efficiency. This algorithm reduces the number of small packets being sent over a network. So what if the delays are caused by the receiver? David D Clark’s solution can be and is used. Clark’s solution closes the window until another segment of MSS can be received or if the buffer becomes half empty. Now there something else – Delayed ACK tries to send more data over a segment if it can. Here’s the problem. the interaction of Delayed ACK with Nagle’s algorithm can create 200+ ms delays. Check things like LLMNR. You can get delays with SQL and you may need to disable it on work stations and the server. Look at Nagle’s Algorithm and Delayed ACK. You can turn Nagle’s algorithm on or off as needed. It’s not always the best choice in highly interactive networks but can help to speed up downloads and remote connectivity. We’ve had several students in a jam that needed a file moved and high latency stopped them or the download failed. So what did they do? Adjusted Nagle’s Algorithm. Manually adjust the connection speed – we’ve seen even with the correct network card drivers slow throughput on networks. After adjusting to 1Gbps manually instead of auto, the computer speed up. Is everything a gigabit? Switches, servers, workstation and other. If so, enable jumbo frames. Remember always optimize your network before you throw hardware at the problem. Also, don’t worry, Karn’s algorithm will be working when computers are talking. It basically measures time from point A and B and if there is a delay, it’ll say ‘hello’ again to try and get a response. 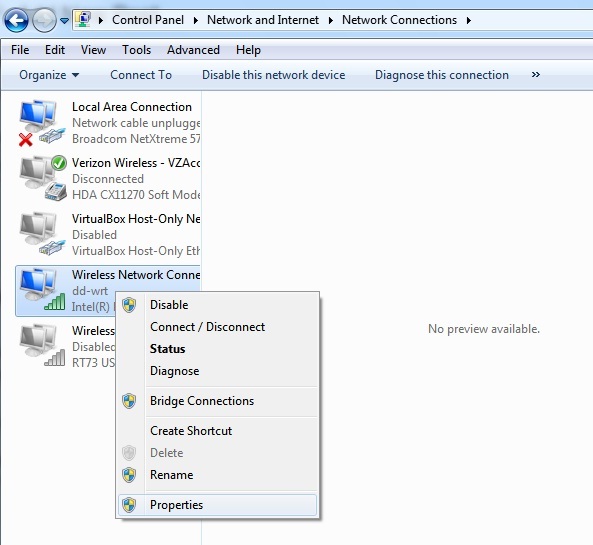 Make sure you find the correct interface for your active network connection.One way is to look at the IP Addresses listed until you find the correct interface. An easy solution from 2014! Ever run into a virus that won’t let you open the desktop or go into Safe Mode? This solution will work on many of these viruses and not necessarily on all viruses or malware. 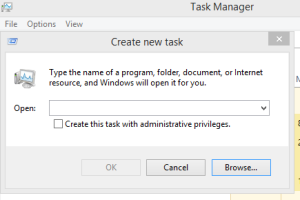 If you type or browse to explorer.exe, this may let you have the desktop. 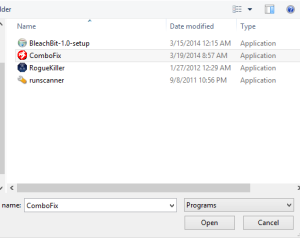 If NOT, have a flashdrive that has your tools (portable – malwarebytes, ADWCleaner, superantispyware or other tools and navigate to the tool – you may also have RKill on the drive to kill processes that are malicious) and navigate to the tool of your choice. Run multiple tools until the malware is removed. The tweak works by increasing the priority of four processes. Diagnosing your network? Here’s a GUI program to ping and get averages and speeds over a period of time – nine years ago we featured Performance Pinging by Carsten Schmidt and cannot find a working website from the author to download this program. Fortunately, SnapFiles has the program available. The program is an excellent portable utility that measures ping and transfer speeds on your network. Microsoft did recommend to disable short names in a security guide some times back. 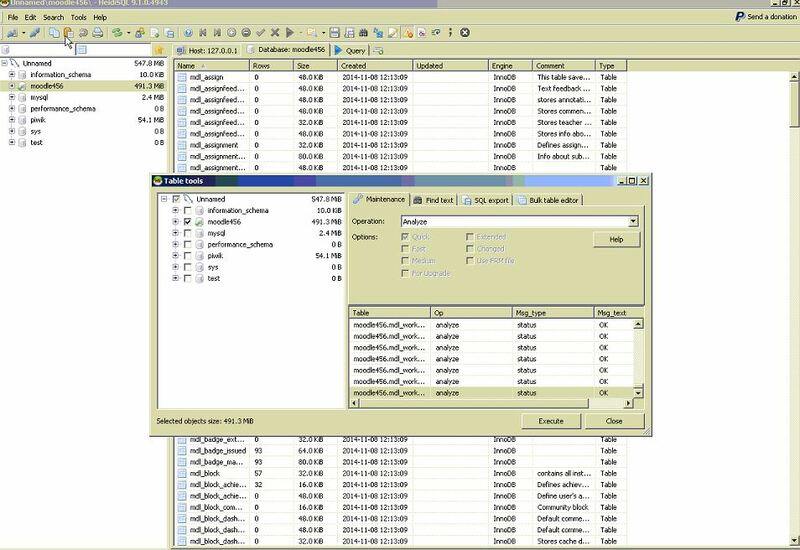 There is evidence that file operations in directories (folders) that contain a large number of file can be slowed by short file name creations. So does it improve performance? The short answer – Yes. You’ve discovered hundreds or even thousands of default_error_stack files. What should you do and what are they? These files tend to be driver errors and can be safely deleted. There were over 2.3 GB of these data files on my personal computer. 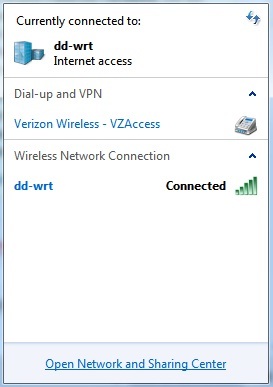 Having connection issues and no viruses or malware? Hardware OK?